Our 20 ton crane will be replaced by a new crane. 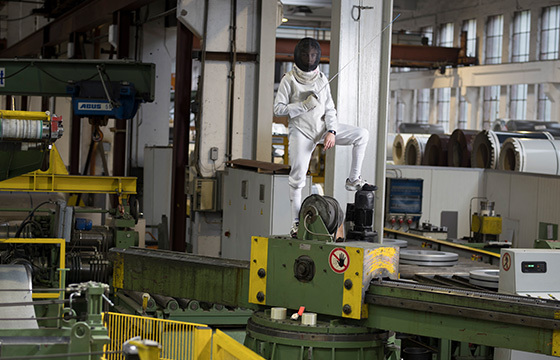 During this work, no production, shipping and receiving is possible. Our office is reachable until 21.12.2018. In the new year we will be back on 02.01.2019 and from 07.01.2019 with a new crane for you. Please consider these dates in your planning. Our staff will gladly answer your questions and assist you in your planning. Coils, small coils, split strips, sheet metal and cut-to-size plates. 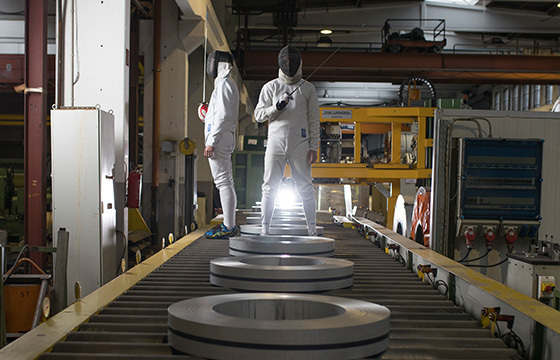 Coil-coated, aluminium-zinc, hot-dip galvanised, or zinc-magnesium. Fischer Stahl prepares the packaging with its own equipment, individually, according to customer requests, and delivers all over Europe. 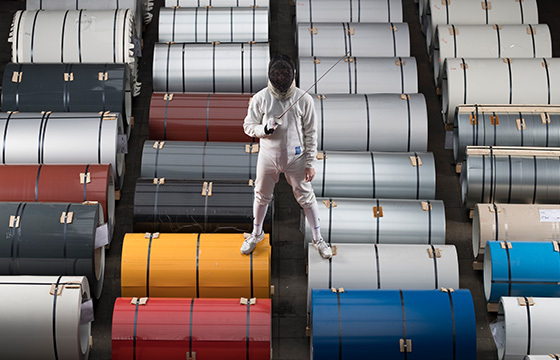 More than 140 colours (coil-coated) always in stock. 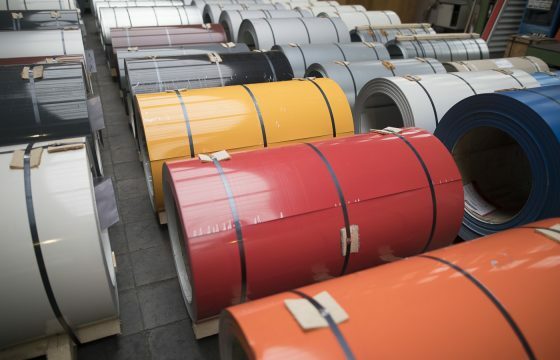 Beyond that Fischer Stahl is also able to provide your specially requested colour. 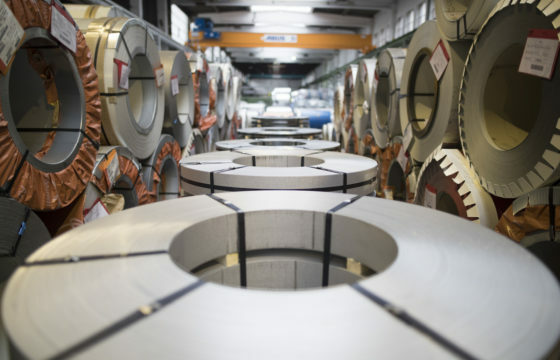 We supply surface-treated coils of a material thickness between 0.30 and 4.00 mm made from coil-coated material, aluminium-zinc, hot-dip galvanised or zinc-magnesium. The surface-treated surfaces are protected by a special foil to prevent mechanical damage. We can supply coils with a length of between 20 and 70 m and a metal thickness of 0.40 to 1.00 mm. Our product portfolio offers you a multitude of choices for your applications. 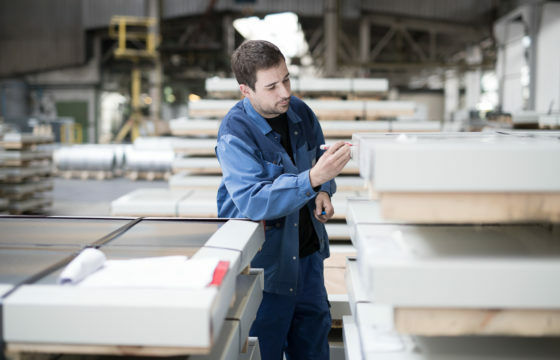 We supply sheet metal and cut-to-size plates according to customer requirements and process these with high precision and lowest possible tolerances. 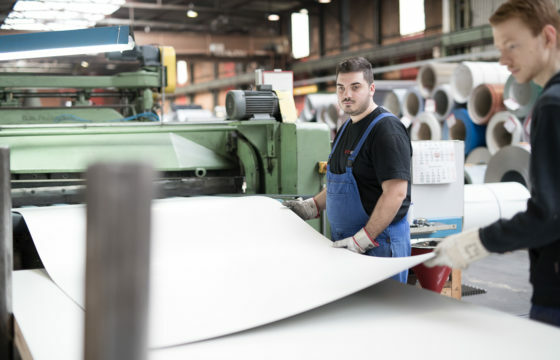 Upon your request we provide you with split strips of a thickness between 0.30 and 3.00 mm, cut to your required size, wrapped up and delivered to the requested location. 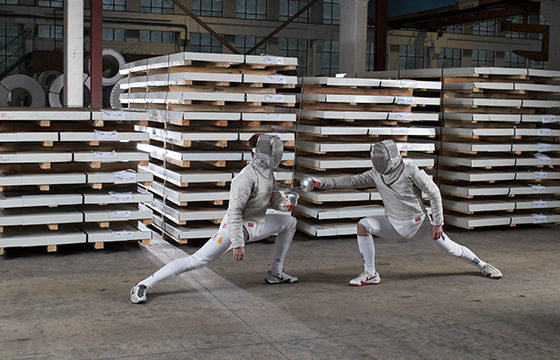 Speed, awareness and experience are the most important properties for a fencer. With the assistance of these properties we can concentrate on our core task: fulfilling our customer requirements.